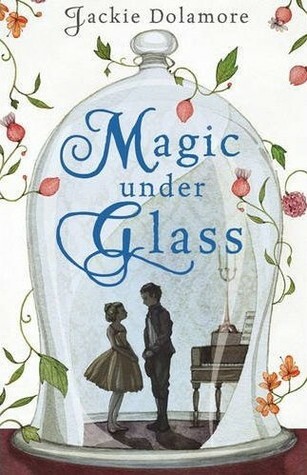 I loved the summary about this book- steampunk, automatons, romance, faeries- what isn't to love? This book combines the best of everything I like in YA fantasy. I was worried, though, because the ratings for this book were up and down on Goodreads. I loved the romance between the automaton and Nimira- I thought it was sweet and fantastically written. I was quickly swept up into the story. Jaclyn Dolamore is a brillant writer- what she wrote in this book is the stuff of great fairytales. I enjoyed every minute of it. I loved that every time I thought I had the story "figured out" and thought " oh here is the part where I can now predict what the rest of the story will be"- the author surprised me with new twists and turns in the plot. This is a book that I would absolutely LOVE to see as a movie. I could imagine Nimira singing in front of the piano, dressed in her mother's blue performance outfit. I could imagine the stiff movements of an automaton with human like eyes, pleading for help. I can't wait to read the second book in this series- I want to learn more about Nimira and her fairy prince. If you haven't checked this book out yet- do it! I was going to pick up this book, but I never got to. I wasn't sure if it would be that good. I guess it is given your rave review. Thanks!